To describe the demographic characteristics and clinical features in children with influenza A (H1N1) virus infection and to identify risk factors for severe disease or poor prognosis. Following the first tourist-imported case in Turkey on 16 May 2009, the influenza A (H1N1) virus has spread throughout the country. Materials and methods: Children under 18 years of age who were hospitalized for at least 24 h with an influenza-like illness and who had confirmed influenza A (H1N1) virus infection were included in the study. Demographic factors, clinical signs and symptoms, laboratory results, radiographic findings, treatments, and follow-up periods were noted. Results: During the period of October to December 2009, 126 [63.5% males, median age: 3 years (range: 0.1-9 years)] children with cases of influenza A (H1N1) virus infection were hospitalized. Fever (95.2%), cough (84.1%), rhinorrhea (70%), and dyspnea (63.5%) were the most common presenting symptoms. A total of 46 patients (36.4%) had chronic underlying medical conditions, with asthma being the most common (21.4%). During hospitalization, durations of oxygen requirement and wheezing were longer in patients with chronic respiratory disease. Duration of oxygen requirement and tachypnea decreased if oseltamivir was initiated within 48 h (P = 0.006 and 0.033, respectively). No risk factor was defined for hospitalization longer than 4 days. Conclusion: In our cohort, influenza A (H1N1) virus infection did not appear to cause severe disease. Asthma was a significant risk factor for severe disease. Delayed (>48 h) initiation of antiviral therapy might have contributed to an increase in morbidity, which suggests the importance of timely administration of antiviral treatments. Chan M. World now at the start of 2009 infl uenza pandemic. WHO Press Release; 2009. Available from: URL: http:// www.who.int/mediacentre/news/statements/2009/h1n1_ pandemic_phase6_20090611/en/index.html. World Health Organization. Infl uenza A (H1N1): WHO announces pandemic alert phase 6, of moderate severity. WHO Press Release; 2009. Available from: URL: http://www.euro. who.int/en/what-we-publish/information-for-the-media/ sections/press-releases/2009/06/influenza-a-h1n1-who- announces-pandemic-alert-phase-6,-of-moderate-severity. Centers for Disease Control and Prevention. Hospitalized patients with novel infl uenza A (H1N1) virus infection - California, April-May, 2009. Morb Mortal Wkly Rep 2009; 58: 536-41. Novel Swine-Origin Infl uenza A (H1N1) Virus Investigation Team. Emergence of a novel swine-origin infl uenza A (H1N1) virus in humans. N Engl J Med 2009; 360: 2605-15. European Center for Disease Prevention and Control (ECDC). ECDC situation report. Infl uenza A (H1N1)v infection. 2009 May. Available from: URL: http://ecdc.europa.eu/ en/healthtopics/Documents/090502_InfluenzaAH1N1_ Situation_Report_0800hrs.pdf. American Academy of Pediatrics. Infl uenza. In: Pickering LK, editor. Red Book: 2009 report of the Committee on Infectious Diseases. 28th ed. Elk Grove Village (IL): American Academy of Pediatrics; 2009. p.400-12. Centers for Disease Control and Prevention. Neurologic complications associated with novel infl uenza A (H1N1) virus infection in children - Dallas, Texas, May 2009. Morb Mortal Wkly Rep 2009; 58: 773-8. World Health Organization. Pandemic (H1N1) 2009. 2009 Nov. Available from: URL: http://www.who.int/csr/disease/ swinefl u/en/index.html. Centers for Disease Control and Prevention. 2009 pandemic infl uenza A (H1N1) virus infections - Chicago, Illinois, April- July 2009. Morb Mortal Wkly Rep 2009; 58: 913-8. New York City Department of Health and Mental Hygiene. 2009 New York City Department of Health and Mental Hygiene health alert #27: pandemic (H1N1) 2009 infl uenza update, revised reporting requirements and testing procedures, July 8, 2009. Available from: URL: http://www.nyc.gov/html/ doh/downloads/pdf/cd/2009/09md27.pdf. O’Riordan S, Barton M, Yau Y, Read SE, Allen U, Tran D. Risk factors and outcomes among children admitted to hospital with pandemic H1N1 infl uenza. CMAJ 2010; 182: 39-44. Koliou M, Soteriades ES, Toumasi MM, Demosthenous A, Hadjidemetriou A. Epidemiological and clinical characteristics of infl uenza A (H1N1)v infection in children: the fi rst 45 cases in Cyprus, June-August 2009. Euro Surveill 2009; 14(33): pii=19312. Jain S, Kamimoto L, Bramley AM, Schmitz AM, Benoit SR, Louie J et al. Hospitalized patients with 2009 H1N1 infl uenza in the United States, April-June 2009. N Engl J Med 2009; 361: 1935-44. Food and Drug Administration. Tamifl u pediatric adverse events: questions and answers. 2009. Available from: URL: http://www.fda.gov/Drugs/DrugSafety/ rketDrugSafetyInformationforPatientsandProviders/ ucm107840.htm. Prober CG. Antiviral therapy for infl uenza virus infections. Semin Pediatr Infect Dis 2002; 13: 31-9. Kitching A, Roche A, Balasegaram S, Heathcock R, Maguire H. Oseltamivir adherence and side eff ects among children in three London schools aff ected by infl uenza A (H1N1)v, May 2009 - an internet-based cross-sectional survey. Euro Surveill 2009; 14(30): pii=19287. Centers for Disease Control and Prevention. Surveillance for pediatric deaths associated with 2009 pandemic infl uenza A (H1N1) virus infection - United States, April-August 2009. Morb Mortal Wkly Rep 2009; 58: 941-7. Donaldson LJ, Rutter PD, Ellis BM, Greaves FEC, Mytton OT, Pebody RG et al. Mortality from pandemic A/H1N1 2009 infl uenza in England: public health surveillance study. BMJ 2009; 339: b5213. Lockman JL, Fischer WA, Perl TM, Valsamakis A, Nichols DG. Th e critically ill child with novel H1N1 infl uenza A: a case series. Pediatr Crit Care Med 2010; 11: 173-8. ISNAD TAŞAR, Medine Ayşin , DALLAR, Yıldız , SOYER, Özge UYSAL , YILDIRIM, Şükran , TAŞAR, Mustafa , ARIKAN, Fatma İnci . "Risk factors and prognosis in children hospitalized due to pandemic H1N1 influenza A virus infection in Ankara, Turkey*". 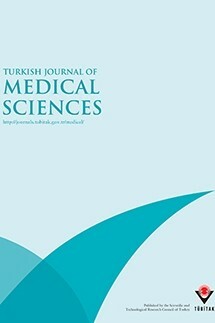 Turkish Journal of Medical Sciences 42 / 3 (March 2012): 433-440.